The John Smith’s Stadium, Huddersfield’s premier venue, is widely known as a popular exhibition venue for business, conferences, special occasions and much more. 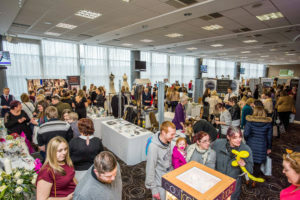 From our ever-popular business and trade events – such as our recent International ‘Trade in Kirklees’ business event – to special occasion exhibitions, The John Smith’s Stadium has been hosting a wide range of successful exhibitions for years. It takes a special blend of key qualities to be a great exhibition venue. Our top 3 qualities are; the venue must be an adaptable space, it should have hosts who care about your event, and the venue should be in a convenient location and able to cater to all the necessary amenities. The first of our top 3 qualities is that the venue must be an adaptable space. Your exhibition venue should be large enough to accommodate your exhibition and flexible enough to host your diverse range of stands, shows or talks depending on your requirements. Our Revell Ward Suite is a perfect example of an adaptable space; a vast, airy room that can hold up to 440 delegates in theatre style or 360 for a seated dinner and can be divided in two. 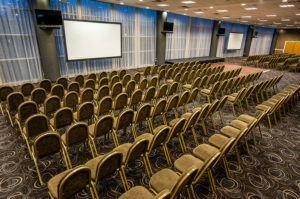 The ability to divide The Revell Ward Suite into two allows a unique opportunity to host stands in one section and speeches or shows in the other. The Revell Ward Suite is also positioned opposite a selection of hospitality boxes that can hold up to 20 people, allowing for the quirky addition of separate stalls or workshop areas that look out onto our Stadium grounds – a unique and memorable view indeed! Our other two large suites; The John Smith’s Suite and The Fantastic Suite are also idyllic for exhibitions. 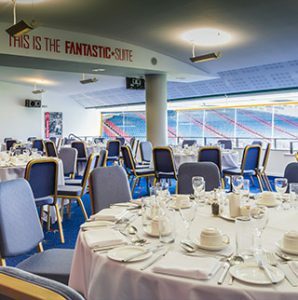 The John Smith’s Suite (hosts 150 guests) defines adaptability with its capacity to be split into three entirely self-contained spaces, whilst The Fantastic Suite (hosts 120) looks directly out onto the pitch and is adjacent to 16 hospitality boxes – a favourite choice for wedding fayres and conference events due to its stunning views and space. Our second quality of a great exhibition venue is that it should have hosts who care as organising and running an exhibition can be an incredibly stressful affair. It’s key to have an experienced events team behind the scenes, supporting you and helping to make sure that your event runs smoothly. Here at The John Smith’s Stadium, our events team have years of experience executing successful and memorable events. Each staff member is highly trained and selected for their keen ability and love for working alongside people just like you. We offer event management and staff on hand, alongside audio-visual assistance, catering, room layouts, a timeline of the day, help planning beforehand and much more. The final quality to look out for in a great exhibition venue is to be sure that it is in a convenient location and possesses all the amenities that you require. Hosting your exhibition at a venue that is easy to get to, could be the difference between a busy event and a quiet one. 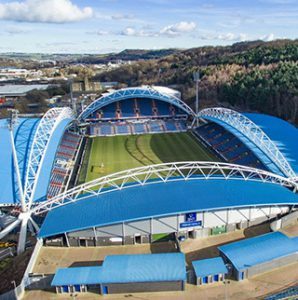 As a central location with links to the M62 and M1 motorways, and a mere stone’s throw away from Huddersfield Train Station, The John Smith’s Stadium is perfect for those travelling from further afield. When hosting an exhibition, you need to know that the venue you are using can offer key facilities that you may require such as screens to play media on and Wi-Fi that people can access. These things are key to running a successful event. We have Wi-Fi throughout our suites as well as screens for displaying presentations or video. We also have air-conditioning throughout the building and multiple toilet facilities for convenience. Make certain that your venue possesses the above three qualities to throw a successful exhibition or event. 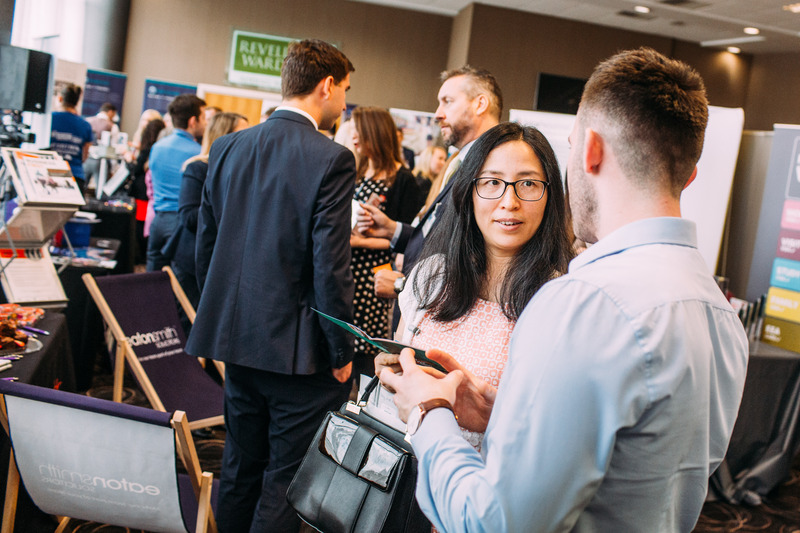 Here at The John Smith’s Stadium, we are well equipped for exhibitions and events which is why we are renowned as one of the North’s best conference and event venues! Ensure that you organise an exhibition to remember by choosing The John Smith’s Stadium for your event. To contact a member of our team please contact the Conference and Events Department on: 01484 484116.